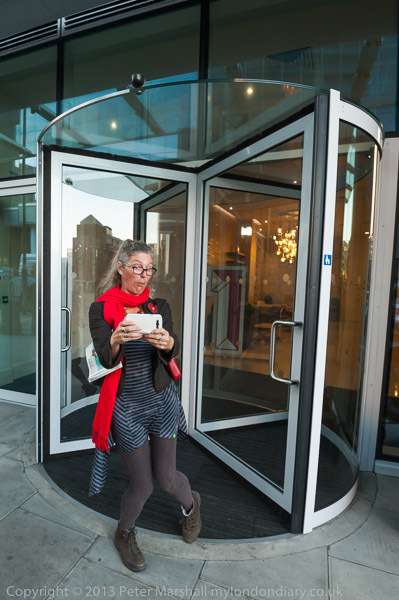 As I write this post at the end of November, Class War has just suspended its series of protests about separate doors for the rich and poor residents of One Commercial St. They have in the last week declared a ‘truce’ as the new owners of the building have expressed a desire to resolve the situation, with a meeting of the interested parties which hopefully will result in all residents being able to enter on the main street, rather than those on the ‘poor’ side having to go down the side alley. People often tell me that it isn’t worth protesting, that protests never acheive anything, but that simply isn’t true. Of course not all protests are successful, but many do make a difference. If it had not been for the protests over a ‘third runway’ at Heathrow, we would now be fighting against plans for a fourth runway and Terminal 6 or 7; if it hadn’t been for the protests of UK Uncut, tax avoidance would not have become an issue. Protests seldom manage to wave a magic wand, but they often do effect changes in the ways that issues are seen and debated, cultural changes that alter the course of events. One Commercial St isn’t in itself that important. One block of many similar blocks springing up across the UK, and of course particularly in London. An exemplar of the trend towards social segregation which is accompanying the increasing financial gulf between rich and poor in this (and many other) countries. 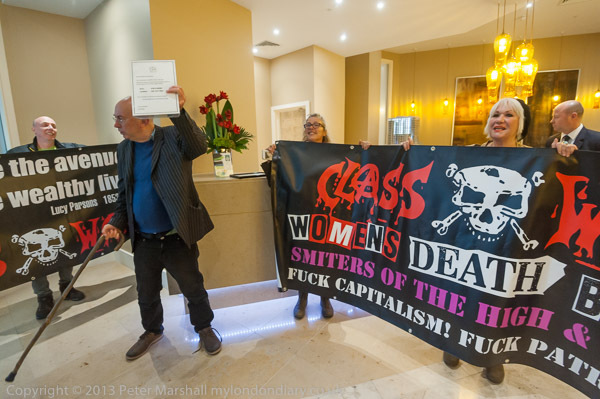 Class War’s stand here is one of principle rather than about the particular, and whatever the final outcome in this building, it has put the issue firmly on the political and media agenda. Housing has become a major issue, and it has largely done so not because of the obvious and often desperate problems many face, not through the dedicated lobbying of charities and the research of academics, certainly not by the largely spineless approach of Her Majesty’s opposition (who through some Labour dominated councils are very much a part of the problem) but because of the work of grass roots activists such as Class War, Focus E15, New Era and others. 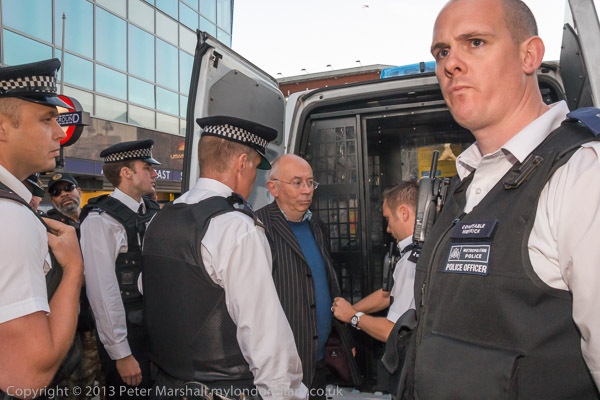 Back to September 24th, and Class War Occupy Rich Door, a night that marked a hotting up in the battle between protesters and the Redrow staff of the building over the rich door. Before there had been tussles with the protesters attempting to hold the door open when residents entered or left during the protests, but this week something different happened. 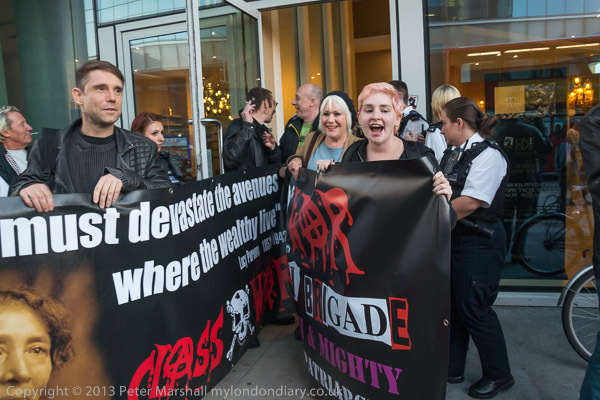 Perhaps it was the presence of Marina Pepper, Class War’s candidate to stand against Iain Duncan Smith in his Chingford Constituency, at the protests for the first time and posing above in the always locked revolving door that led the building manager to simply walk away when a protest put his foot in the door to hold it open. But whatever the reason, the open door seemed an invitation to walk inside, and the protesters, after a few moments shock at seeing it made so easy, simply walked in and made themselves at home. 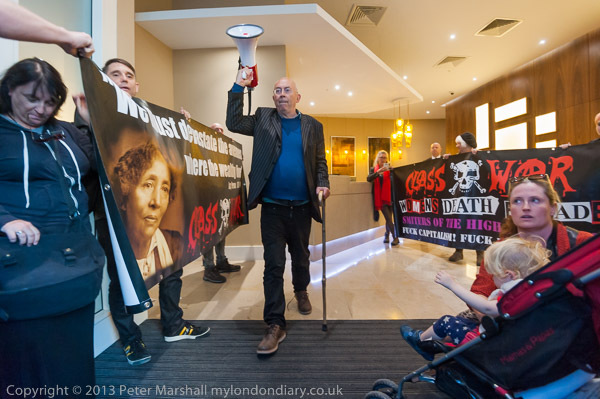 The building manager called the police, but for the moment the protesters were in the foyer and Ian Bone is holding up a framed notice from the desk with details of the 24 hour phone lines to the Concierge in the building – and comparing that with the broken entry system on the poor door in the dimly lit alley. In front of him is the walking stick he now relies on, and behind him on the desk a vase of flowers. As often, while speaking, he was flourishing his stick, sometimes rather wildly. At some point in the next few minutes, walking stick and vase connected, either by accident or design, and that vase crashed to the floor and shattered. The noise startled me, and it seemed to startle Bone too. It took eleven minutes for the police to arrive, and they came in and one chatted with the protesters while another went with the building manager into his office. Soon more police arrived, and after I’d gone outside to photograph them at the rich door, prevented me going back inside again. Eventually the police got the building manager to tell the protesters to leave and then the police threatened to arrest them for aggravated trespass if they didn’t go, and after being inside for 20 minutes they left in a jubilant mood. The protest then continued as usual on the pavement outside, with one rather odd incident when a man began to shout loudly that no one was prepared to answer his question, which he had apparently asked some of those holding one of the banners. He continued to shout this loudly for some minutes, while refusing to tell everyone who was asking him what his question was. Police tried to get him stop shouting and leave, but without success, and he ended up arguing with a small group of protesters. It was only at the following week’s protest that I talked to them and found that he felt that people should be protesting about rights for men. His intervention prolonged the protest for a few minutes, during which more police arrived including a van. As Ian Bone turned to leave, a police officer stood in his path, and soon he was surrounded by others and after a short argument he was told he was going to be arrested for breaking the vase and taken to be searched by the back of the police van before being driven away. The following week he said the vase had cost him seventy quid. Photographically the light inside the building was a little on the low side, and I had some problems with depth of field and blurring due to subject movement, even working at ISO 2000 and a little above, with typical exposures around 1/80 f4. In the few minutes I was able to move freely in and out of the building I didn’t always have time or remember to change the settings to cope with the very different lighting. In situations like this, where I’m conscious that at any moment I could be asked to leave, I tend to take too many pictures and not think enough about them. I wasn’t asked by the building manager to stop photographing, though had I been I would probably have told him that I thought it was in the public interest and continued. But I do tend not to use flash, as that does remind security people that I am taking pictures, and I didn’t do so. The pictures were almost certainly better for it. At the end of the protest, when Bone was being stopped and arrested, it was beginning to get dark. 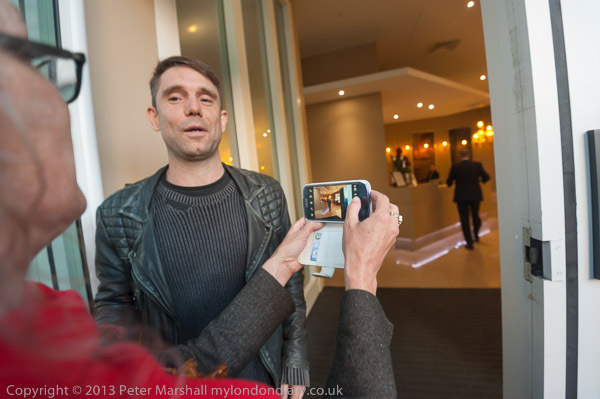 But it wasn’t too dark – the image above at ISO2000 was taken at 1/60 f9. I needed to stop down for the depth of field even at 18mm (27mm equiv) on the 18-105mm. The main problem as always in such situations was getting to the right place, with both so many other protesters and also the police getting in my way. 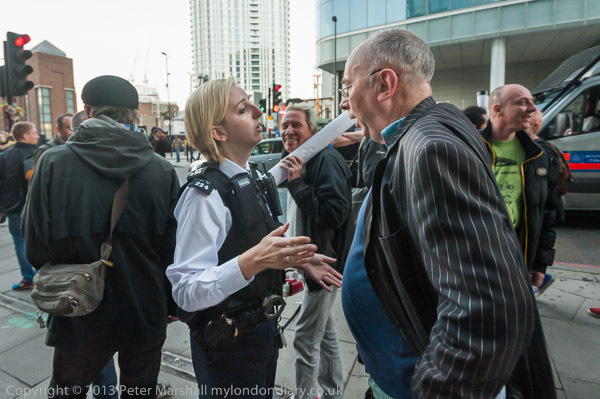 My thanks to Constable Merrick on the right of the picture for not interfering with me or trying to stop me getting a picture – too often police officers seem to think it part of their job to prevent photographers working. More at Class War Occupy Rich Door. This entry was posted on Sunday, November 30th, 2014 at 02:53 pm and is filed under My Own Work, Photo Issues, Political Issues. You can follow any responses to this entry through the RSS 2.0 feed. You can leave a response, or trackback from your own site.